Nissan Navara comes with four color option included Brilliant White, Diamond Black, Tungsten Silver, and Twilight Grey. The Nissan Navara also provided the best interior and exterior design in its class. For exterior design, This pickup truck comes with Front Bumper, Alloy Rims, Rear Reflector and more while inner section; it provides ample space and more comfortable. Under the hood, Nissan Navara powered by 2.5L 4 Cylinder DOHC 16Valve engine that produces enough power and torque to make it move faster even have a huge load. For Safety system, Of course, this beast equipped with Dual Front SRS Airbags as well as ABS with EBD & BA support. It also gets four star ANCAP Rating for greater security. 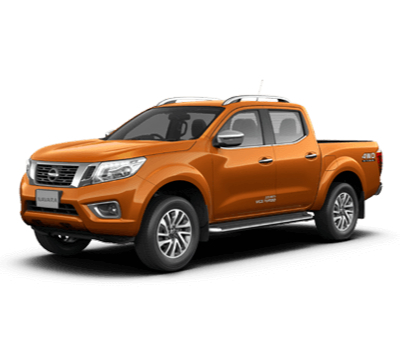 There are five main variants for Nissan Navara 2013 model with Four Wheel Drive (4WD) and Two Wheel Drive (2WD) options. For Nissan Navara price in Malaysia start from RM86,893.50 for King Cab 2.5 Standard 4WD (MT). While others model can get it up to RM 99,895.30.